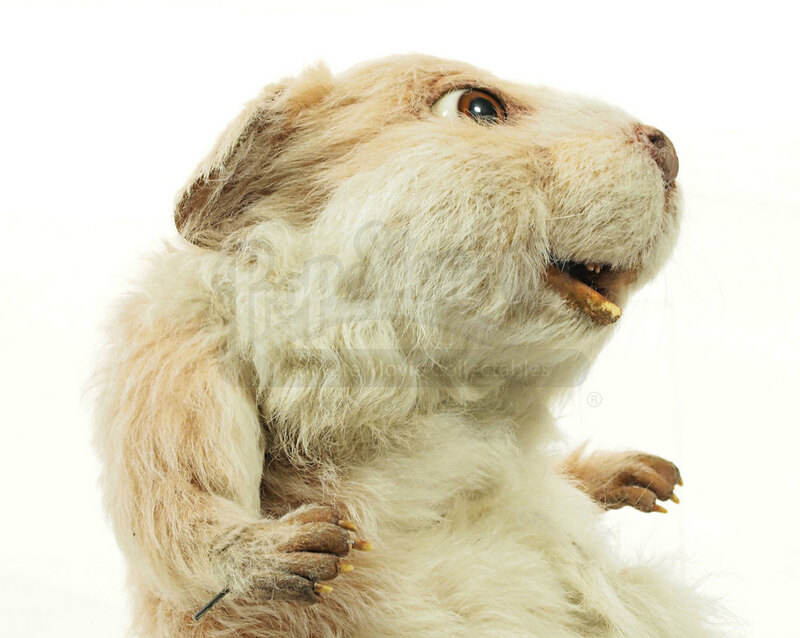 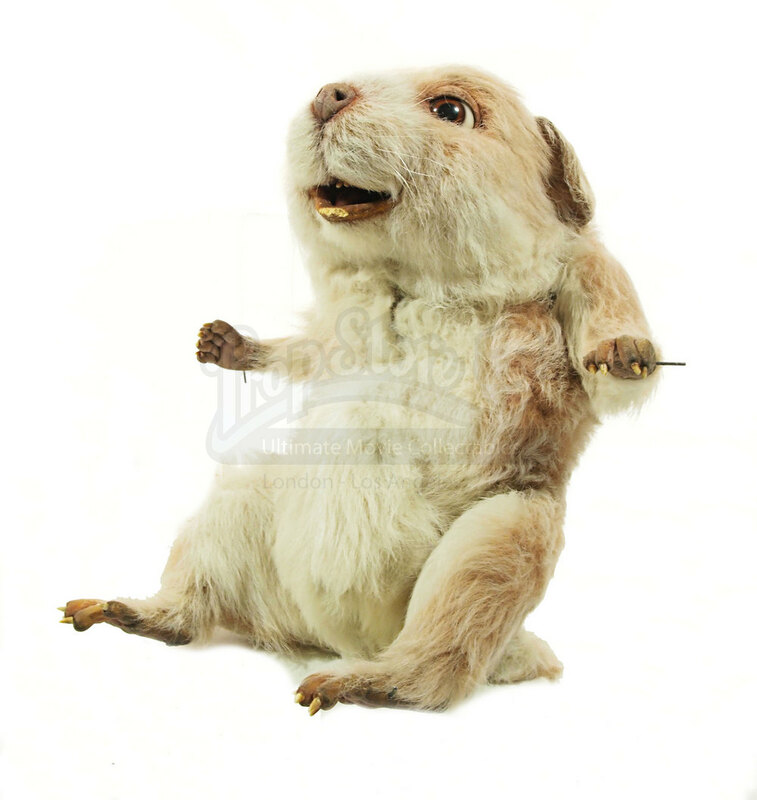 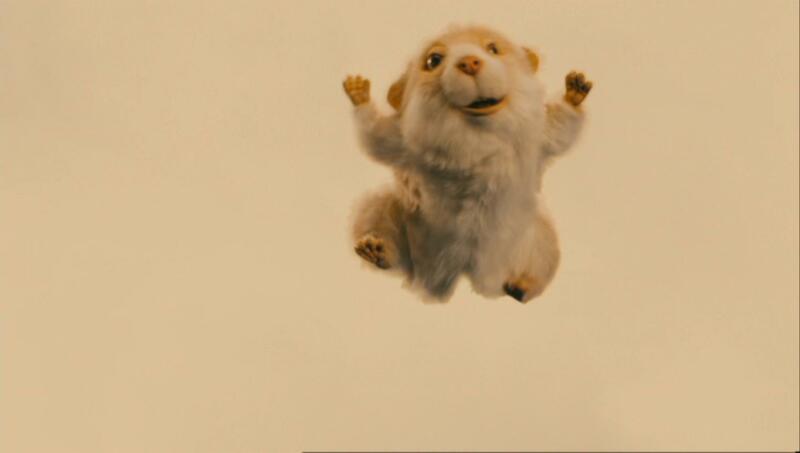 An original Hammy the Hamster puppet featured in the 2008 British family adventure Tales of the Riverbank. 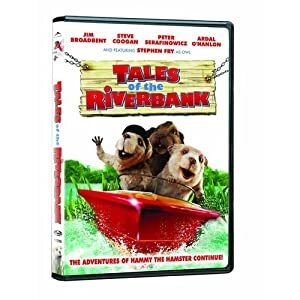 The heart warming live action movie is populated entirely by puppets and follows the tale of Hammy the Hamster, Roderick the Rat and GP the Guinea Pig in their quest to stop the Fat Cats destroying their beloved Riverbank! 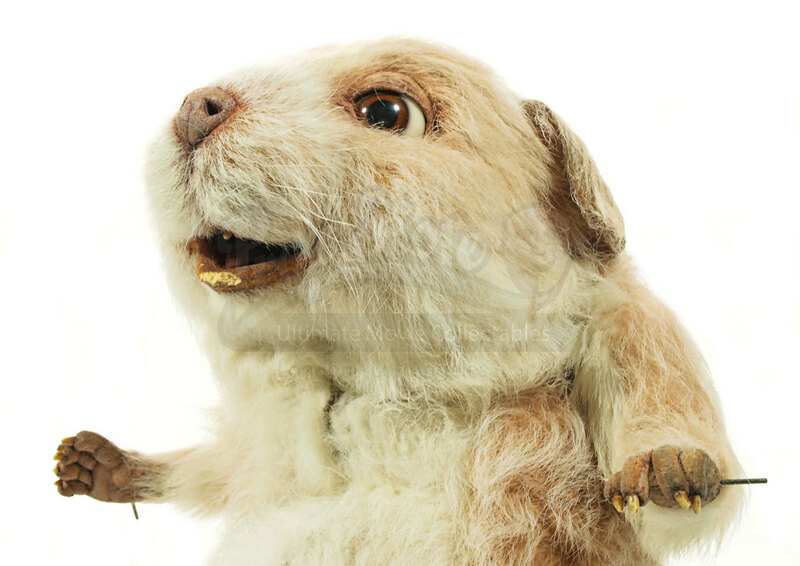 The small rodent of less than average intelligence is voiced in the movie by Irish comedian Ardal O'Hanlan, and is rescued by GP who finds him floating on a log after a terrible and unseasonable storm. 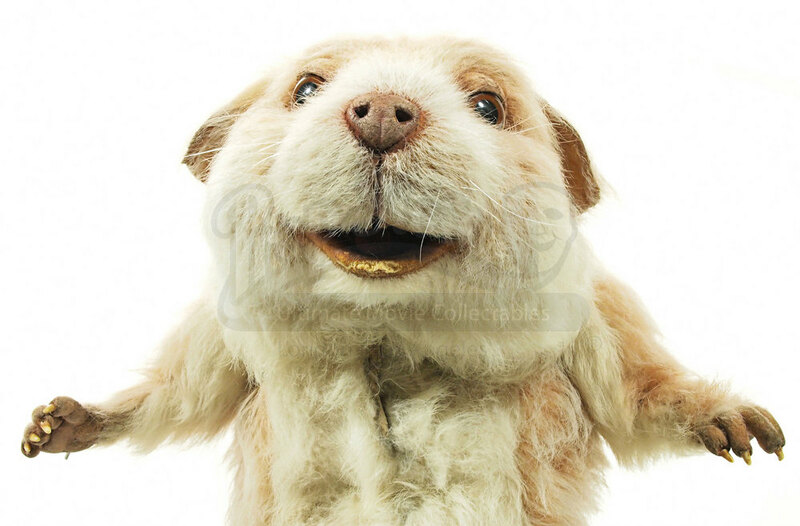 The moving puppets in the movie are constructed from fur over a ribbed rigid hollow frame that could accommodate a puppeteer access, animatronics and full manoeuvrability, complete with foam latex paws, facial features and ears. 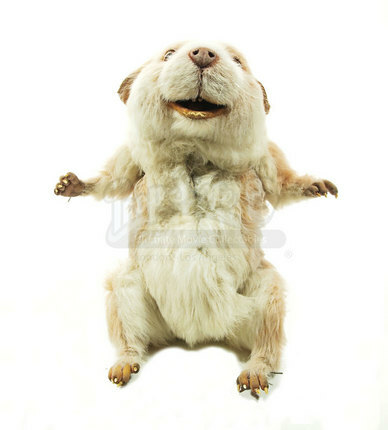 At the end of each arm and leg are fixing points for the rods used to manipulate them, along with a zipper running along the full length of his tummy covered with poppers to hide the tell-tale seam that allowed the puppeteer access to the controls. 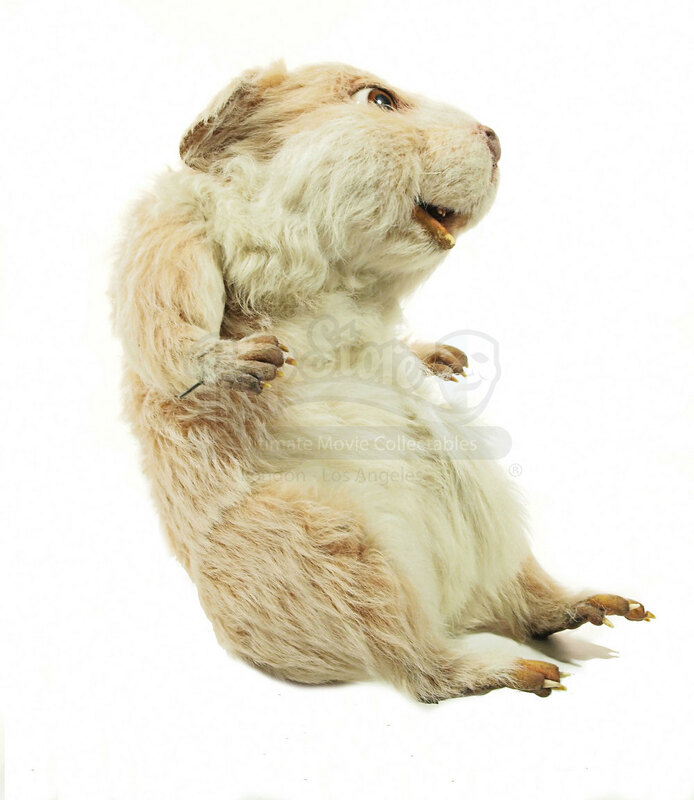 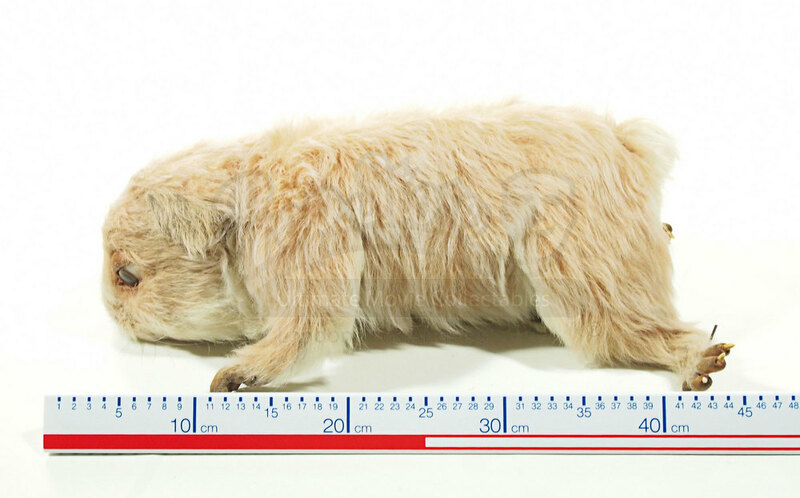 The incredible pale brown and white hamster is still in excellent condition with a small amount of damage to his bottom lip, and could be a great addition to any collection, measuring approximately 48cm (19“) nose to tail.